I am thrilled to have Marie Segares back with us from Underground Crafter. On Monday we got to enjoy the Little Dots Coaster pattern, and today she is sharing some of her best work with us all. Best part is that all her beautiful designs are available for free. My name is Marie Segares, and I’m the Proprietress of Underground Crafter. I’ve been crocheting since my grandmother taught me back in 1984. I picked up knitting in 2010. I also sew, embroider, quilt, make hot process soap, cook, bake, and play with my Cricut Explore Air. I get a lot of questions about the Underground Crafter name: I do a lot of crafting underground while commuting on New York City’s subway system. You can visit me online at Underground Crafter, subscribe to my weekly newsletter, or find me on Facebook, Instagram, Pinterest, Ravelry, StumbleUpon, Twitter, and YouTube. If you’d like to chat with other crafters, you can join my Facebook Underground Crafters group. 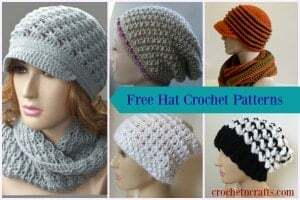 I’m so excited to share 15 of my most popular free crochet patterns with you today! 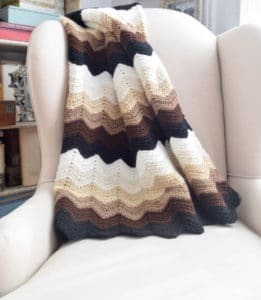 The Gentle Gradient Ripples Blanket is one of my favorite projects to cuddle under while watching tv. It also includes a video tutorial. The Faux Mistake Rib Watchman’s Cap has been a reader favorite for the past few years. 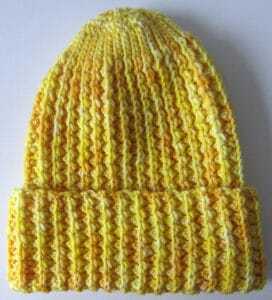 This simple, unisex hat pattern is available in 8 sizes. The Stormy Isle Wrap is my contribution to the Premier Sweet Roll phenomenon. 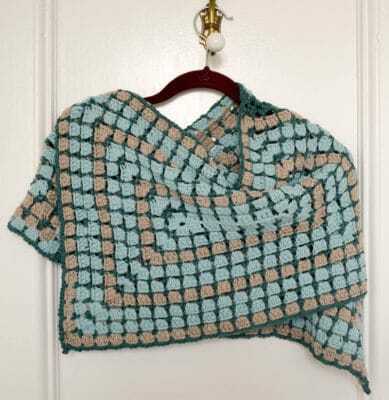 It’s a stunning rectangular shawl that uses a simple stitch pattern. 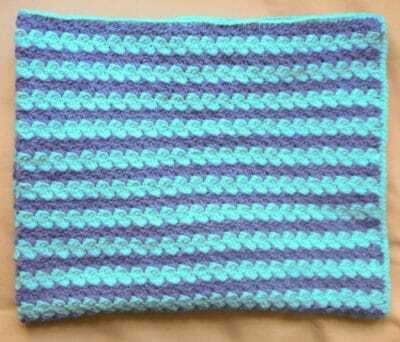 My For Kyle Baby Blanket is the most popular post in my monthly charity spotlight series. 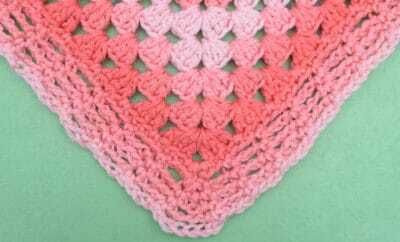 If you like crocheting for charity, you’ll find great patterns and tips for donating in those posts. The Justine Shawl is one of my favorites and it’s named after my baby sister. (Ok, she’s almost 30 now but who’s counting?) 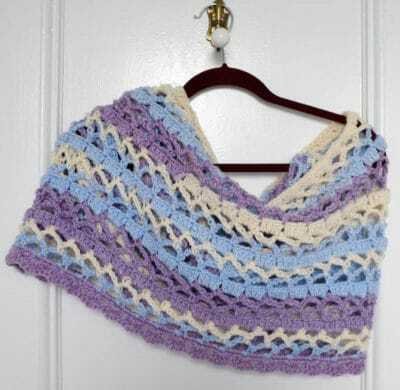 I used a lace weight yarn but this pattern can be easily made in any weight of yarn. And, speaking of shawls, the Pineapples for Everyone Shawl is one of my first free crochet patterns and it’s still one of the most popular. 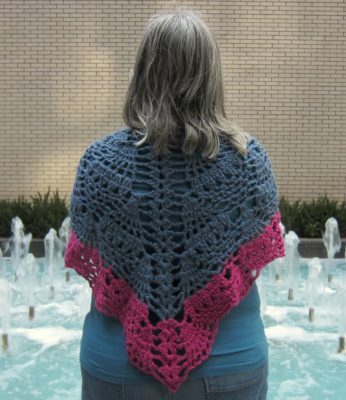 It’s another shawl that you can adjust to your preferred size using any weight of yarn. The Sweet Treat Baby Blanket doubles as a cuddly play mat, so it makes a great baby shower gift. 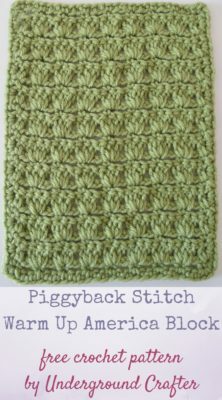 If you’re looking for a simple stitch pattern to work on while watching tv or commuting, try the Piggyback Stitch Warm Up America Block. It’s another design from my charity spotlight series. 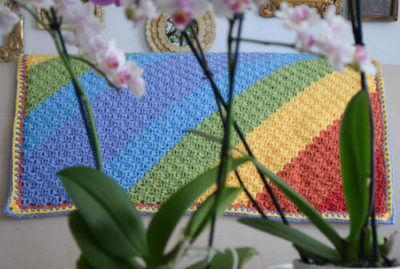 And, if you want to brighten up a room with some color, try the Diagonal Rainbows Baby Blanket! This is a pattern that looks more complicated than it is. If you like the simplicity of the basic granny square but want to spice it up a little bit, try the Mod 9-Patch Blanket. 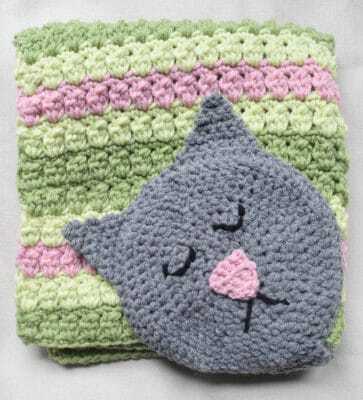 The Sleeping Kitty Lovey is a personal favorite because I love cats. It’s a great scrap buster pattern, too. 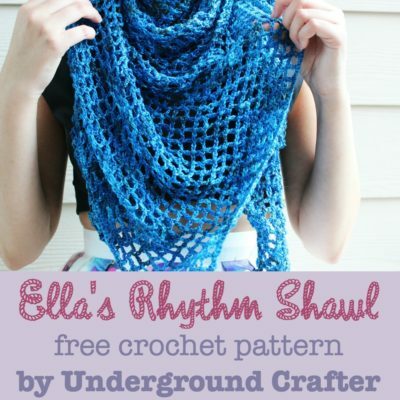 The Ella’s Rhythm Shawl is super easy but it has an unusual construction, so I included a video tutorial to help you out. It’s another shawl that can be made with any weight of yarn. 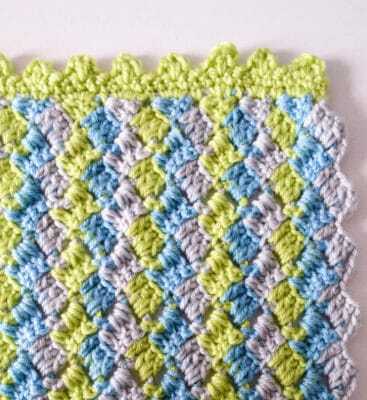 If you’re shipping a baby gift to someone you love, try the Crosshatch Stitch Baby Blanket, which folds up nice and small. It also includes a video tutorial. 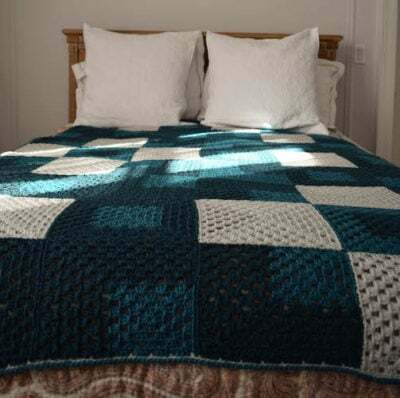 The Simple Rectangular Granny Blanket is just a rectangular variation of the classic granny square. I used an ombré yarn so I didn’t even have to worry about weaving in too many ends. 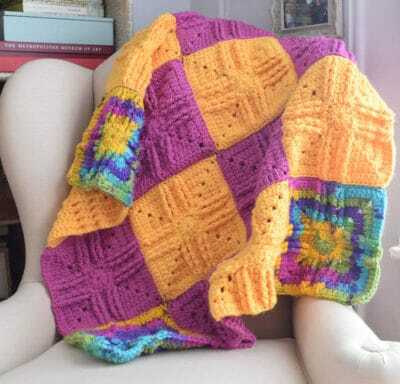 Hmmm, I might just love granny squares (or, at least, my readers do!) because the Beach Stroll Memories Shawl is a rectangular shawl that uses a granny square variation, too. I hope you’ve enjoyed these patterns! 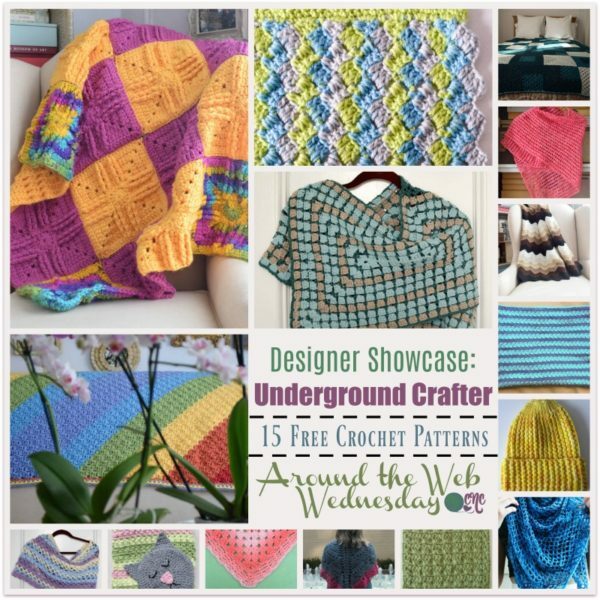 You can find all of my free crochet patterns here on Underground Crafter.